Enjoy the Colca Canyon, experience the magic of the beautiful landscapes of Arequipa. Visit the amazing town of Chivay, on the way there will be a short stop at Pampa Cañahuas National Reserve of Salinas and Agua Blanca. Immerse yourself in the thermal baths of LA CALERA and take advantage of its medicinal properties. 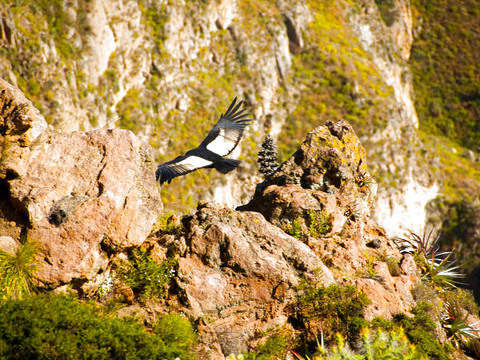 Enjoy the viewpoint of the Cruz del Cóndor where you can appreciate the flight of the condors and observe the depth of the Colca canyon. Pick up at Hotel in Arequipa. 8 am pick up from the hotel and after the indications of our guide we head for the north road to Chivay on the way will make a small stop in Pampa Cañahuas national reserve of salinas and Agua Blanca. 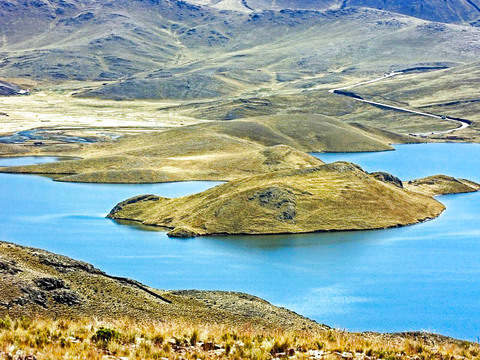 Reserve vicuñas, Tocrapampa, lagoons, bofedales, Patapampa viewpoint of the Andes located at 4830 masl Arriving at the village of Chivay lunch and later we will visit the thermal baths of LA CALERA. Dinner and show with typical dances of the Zone. Breakfast very early then we head towards the viewpoint of the Cross of the Condor to have a spectacular view of the flight of the condors and observe the depth of the Colca Canyon. We stay in this place for 2 hours and return to the traditional villages of Pinchollo, Maca, Yanque. Return to the city of Arequipa arriving approx. At 4:30 p.m. Tourist transport during the whole tour - Minivan of 15 and 19 passengers. Night of Lodging in Hostel (Private bathroom, hot water, wifi, cable TV). Pick up from your respective Hotel in Arequipa. Hostal Los Portales de Chivay, Los Keros o similares.